Please take the link below to PayPal (you do not need a PayPal account). If you are a member of SAAL&M, the fee is $65. If you are not a member, the fee is $80. However, if you would like to pay the discounted member fee of $65, you may join SAAL&M when you come to the workshop. Membership in SAAL&M is $35 for an individual and includes a listing for your website and an opportunity to exhibit in the new Members Gallery. 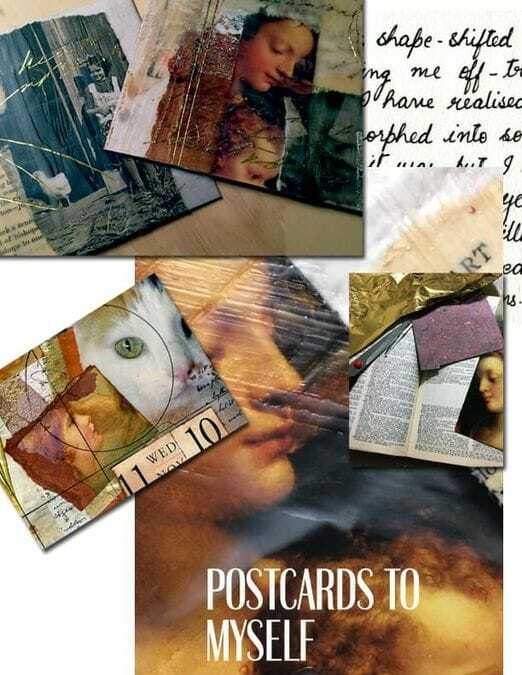 Postcards to Myself is an all-level workshop designed to reaveal and interpret non-verbal messages through building and layering collage elements and beeswax. Participants will work with images and old printed volumes of text which will be enhanced, concealed and revealed with layers of beeswax or medium. The message to oneself will become clear through the working process. The Project – create two postcard-sized mixed-media works using old images, text, and beeswax or medium to convey a concept or a wish in a carefully composed non-verbal way. The Goal – Learn to trust the creative process as choices are made (without knowing quite why). Learn the basics of encaustic technique to control translucency and mystery on each of two postcard-sized works. 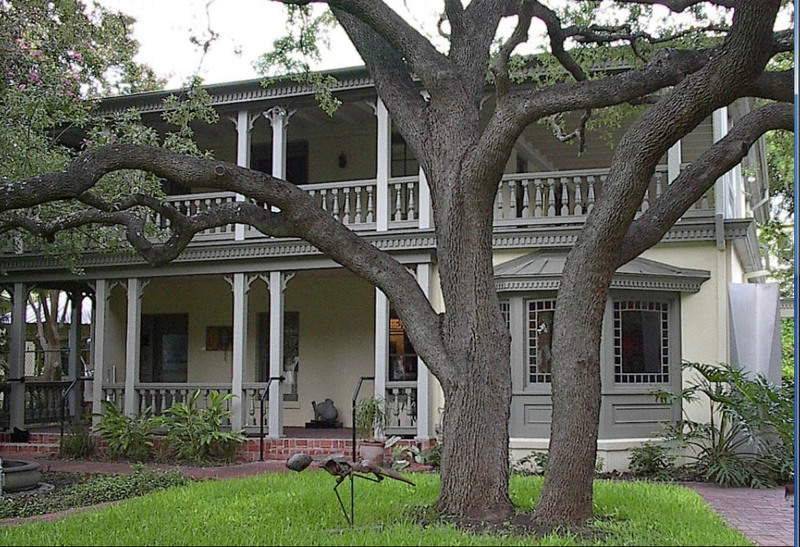 This is the initial workshop held in the King William location of the San Antonio Art League & Museum. The series is designed to build membership the San Antonio Art League & Museum and support it as a resource for San Antonio artists and patrons. Classes are limited to ten participants, preferred method of payment is through Paypal because this insures your "place at the table" and makes bookkeeping easier. Unless indicated, all materials are provided, although you are always welcome to bring your own favorite "art stash" items. If you need to cancel, please do so as soon as possible since there is often a waiting list. Refunds are cheerfully given on a case-by-case basis. There is parking across the street from the Art League, and there is limited parking inside the gate.